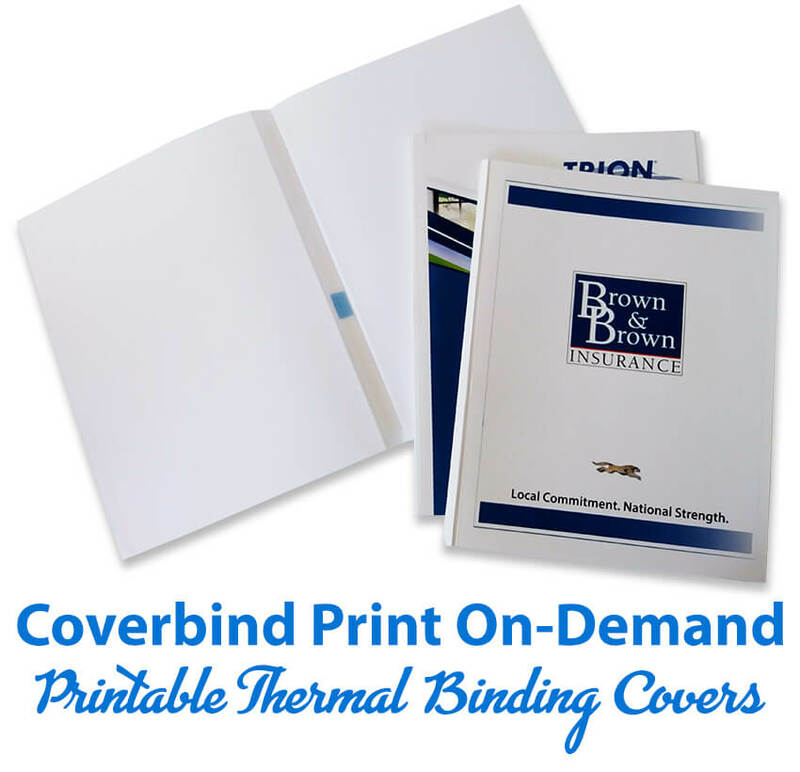 What kind of printer do I need for the Coverbind Print On-Demand thermal binding covers? • Paper Size - Printer must be able to handle 11" W x 18 ⅛" long paper size. Some printers are specifically rated to handle 11" x 17" paper, however, the 18 ⅛" additional length is due to the spine of the cover. Make sure your printer can handle this paper size before you buy. • Paper Stock - These covers are made of an 80 lb. (210 gsm) glossy cover stock, so your printer will need to be able to handle not only the glossy coating, but also the 80 lb. minimum thickness. • Test - If you are are unsure of the compatibility even after checking your printer specs for the above, you test a sample at your discretion* to see if the result matches your expectations. Call us at (866)537-2244 (866)537-2244 to see if samples are available. * If your printer does not expressly list that the above is acceptable, then please note that any use or consequence of use could potentially damage your printer or yield poor results. Binding101 and Coverbind accept no liability for these damages or results.